Every year I look forward to deciding what type of packaging I’m going to use for Christmas gifts. I love the personalized feel of homemade gift wrap. 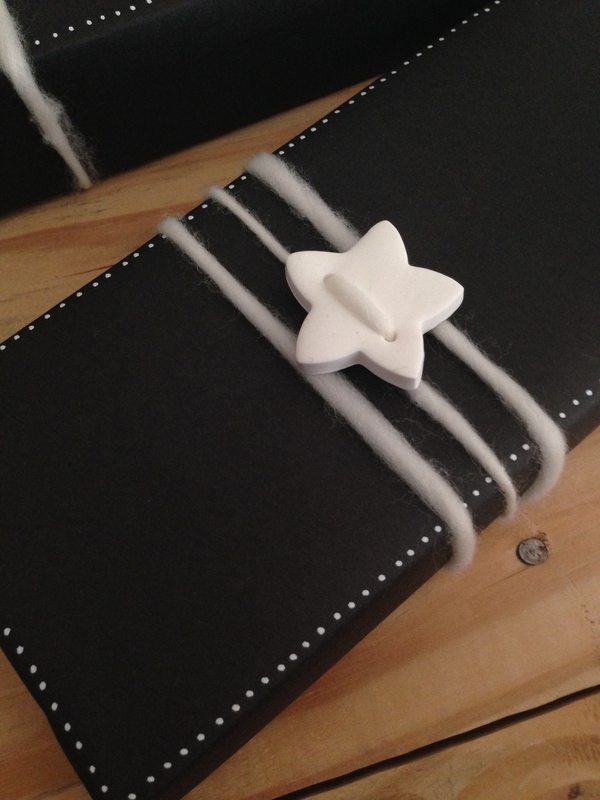 With a few simple supplies, and just a little bit of extra time, you can create gift wrapping that is all your own. In past years I’ve packaged gifts with brown kraft paper, twine, and my homemade cinnamon ornaments. 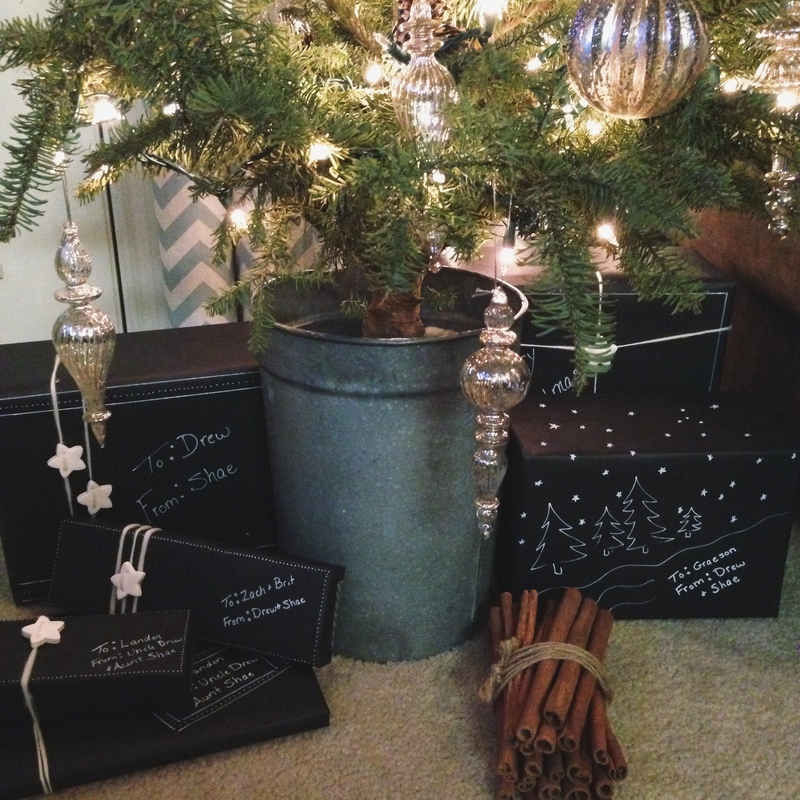 This year I decided to go with “chalkboard” wrapping paper, an idea that I picked up from Pinterest. To create this look you’ll need a roll of black kraft paper. I ordered this kind and it’s perfect, thin enough for neat wrapping while still being quite sturdy. Note that this is a huge roll, I’ve wrapped a dozen gifts and barely put a dent into it, but it’s very cost effective compared to the price of smaller quantities. 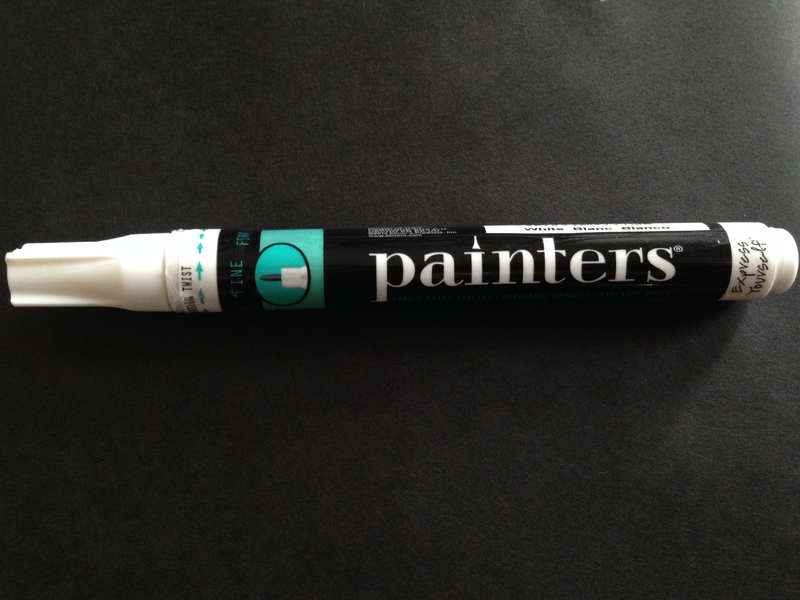 You’ll also need a white paint pen. I used a fine tip Elmer’s Painters pen (under $2 from Walmart). 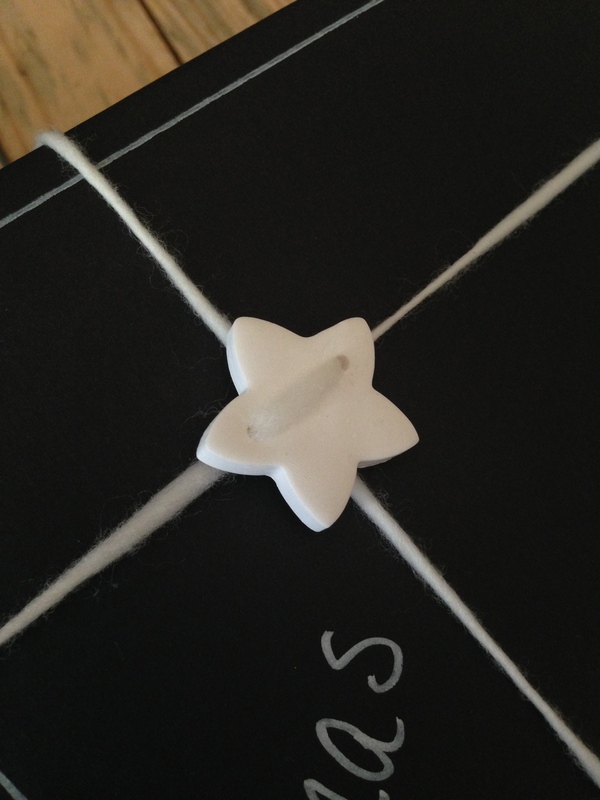 I also decided to make some simple clay buttons to decorate my packaging. 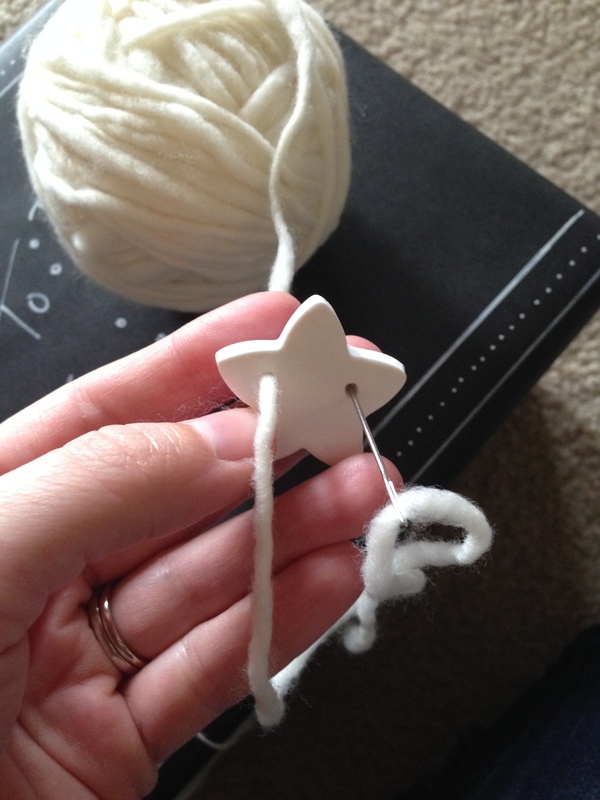 I used cookie cutters to cut cute little stars out of Sculpey polymer clay and I used a toothpick to make the button holes. For a little more info on working with polymer clay, check out one of my earlier clay projects here. I used this thick and chunky handspun yarn for wrapping around presents. 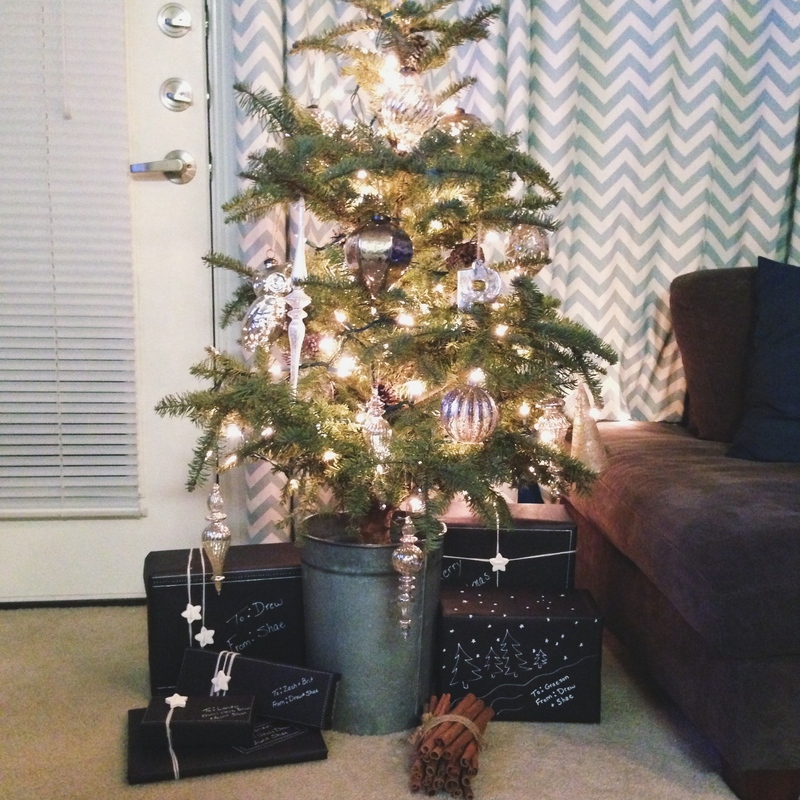 Are you using any special packaging for gift giving this year? I always use brown kraft paper with colorful ribbons. Like you, I’m trying to put a dent in a massive roll. 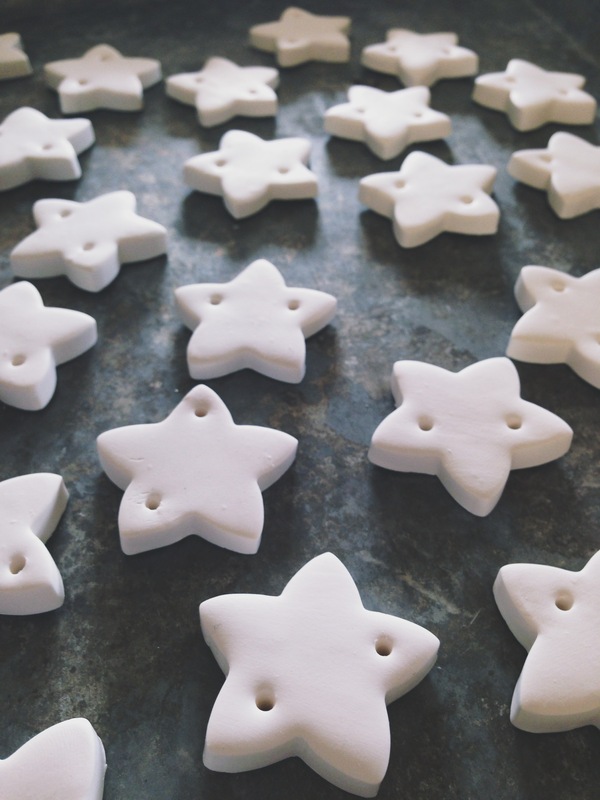 Instead of the adorable clay ornaments, I wrap mine with ribbons and a cookie cutter – I try to match the cutter to the person’s interest, and folks seem to LOVE them. Plus, it’s fun seeing last year’s cutters on this year’s cookies. 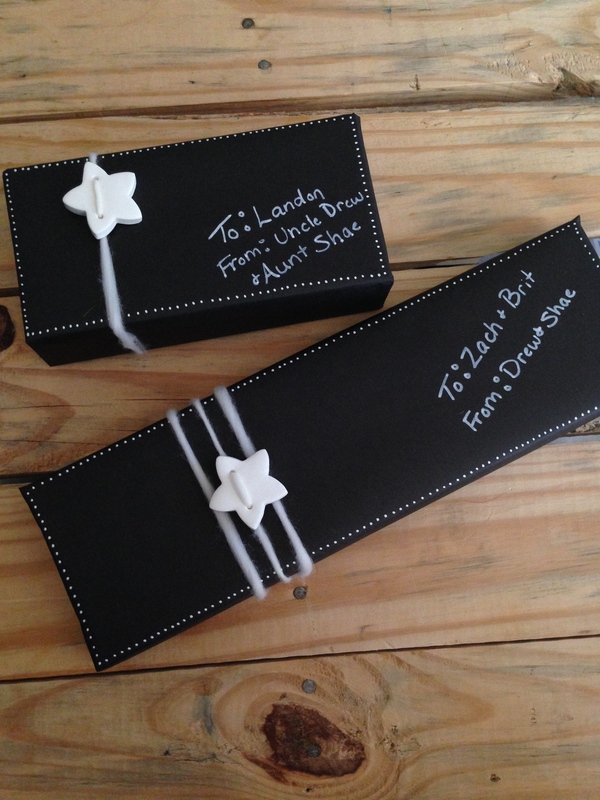 I love the thought of attaching a cookie cutter to wrapped packages, that’s such a great idea! Thanks! I love the chalkboard packages. I just end up labeling mine with sharpie. Not nearly as cute. Lovely ideas and finished product- really beautiful! Oh my gosh, seriously love this! SO cute. I adore this! Thanks so much. Such a cute simple and clever idea, simple yet effective. Love it, you have a very good eye for interesting things. Thanks for sharing! !